You are here: Home / Ethnic Groups / The People of Kalimantan / Who are the Ketapang Malay? Who are the Ketapang Malay? The Melayu Ketapang (Ketapang Malay) live along the western edge of the West Kalimantan Province on islands in the Karimata Straits. These islands include Teluk Batang, North Matan Hilir, and South Matan Hilir. The Melayu Ketapang are a Muslim group who come from a mix of Malay and Dayak people. The majority of the Melayu Ketapang people come from Dayak groups while the rest are from the Riau Malay. In the town of Ketapang, there is relic of a Melayu Ketapang traditional house that stood in the Mulia Baru village. This large house located on the riverbank is made of wood and is a witness of the Malay culture. Many of the roads from the coast to the places where the Ketapang live are not good, making it very difficult to get to on land. The best way to reach the Ketapang area is to travel by boat from the city of Pontianak to the city of Ketapang. 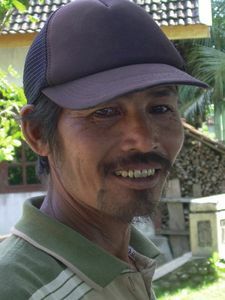 Most Melayu Ketapang are farmers, although some of them also work as fishermen. Crops are shipped to Pontianak and Semarang (on Java) for sale. The transport route to Semarang is about as fast as transport to Pontianak. As a result of this, many locals just send their products directly to Semarang. The Melayu Ketapang are Muslims, though not extremely devout. Currently there are no reports of even a single Melayu Ketapang person who adheres to a religion besides Islam. It is possible that individuals who are of other faiths are not considered Melayu Ketapang, but Dayak. Thus religion and ethnicity are indistinguishable for the Melayu Ketapang. Many potential tourism sites exist in the Ketapang area, including Tanjungpura Cemetery (ruins of the Tanjungpura Kingdom), Palung Mountain National Park, and the Muhammad Saunan Palace. Many hope that raising the rate of tourism in the area will provide economic benefits to the local community. Improvement of transportation facilities whether by land, air, river, or sea are needed to encourage development in all fields.